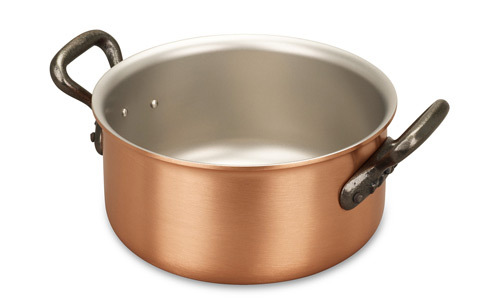 We know you'll love this	16cm copper casserole	as much as we do. I love the mini size I am not a good cook. So, rather than use a large pot, I always use a small pot to enjoy the 16cm in the same size of Roudeau and casserole. So there is no waste of food. Even if the pot is small, I think it is very practical. In addition, I bought this casserole and Roudeau set at a very good price, delivery is fast enough to be a surprise. 933 customers found this review helpful. Did you? Yes, I did! Superb Quality I'm replacing French cast iron cookware which had aged badly. My new Falk pans are everything I hoped for: they are lighter than my old ones but have superb stability and conductivity. Their performance is matched by their good looks. A tiny niggle was that the interior base of this size had a label stuck on, the glue from which was very difficult to remove. 902 customers found this review helpful. Did you? Yes, I did! Little wonder Lovely little pan that does the usual fantastic job. Top quality and heats up beautifully evenly. Just totally worth the money. 809 customers found this review helpful. Did you? Yes, I did!